Found 4 tours matching "SUNQ"
2. The normal Japanese domestic retail price is JPY 9,000. 3. 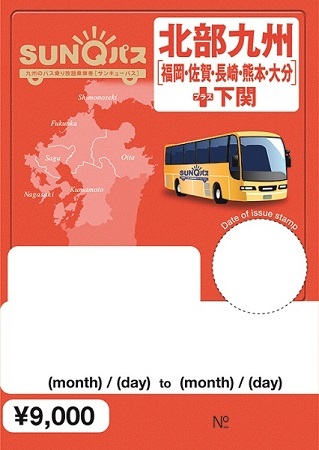 The Northern Kyushu SUNQ Pass is a free-pass ticket that allows users to ride practically every local bus and expressway bus line as well as select boats in Fukuoka, Saga, Nagasaki, Oita, Kumamoto, and the Shimonoseki City area in Yamaguchi Prefecture. 2. The normal Japanese domestic retail price is JPY 11,000. 3. 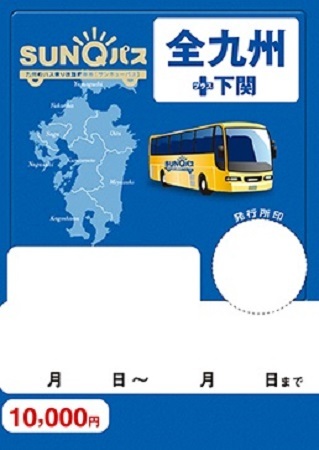 The All Kyushu SUNQ Pass is a free-pass ticket that allows users to ride nearly every local bus and expressway bus line along with select boats on the island of Kyushu, as well as the Shimonoseki City area of Yamaguchi Prefecture. 4. Enjoy extraordinary convenience not only between cities in Kyushu, but also for access to various sightseeing locations. 1. 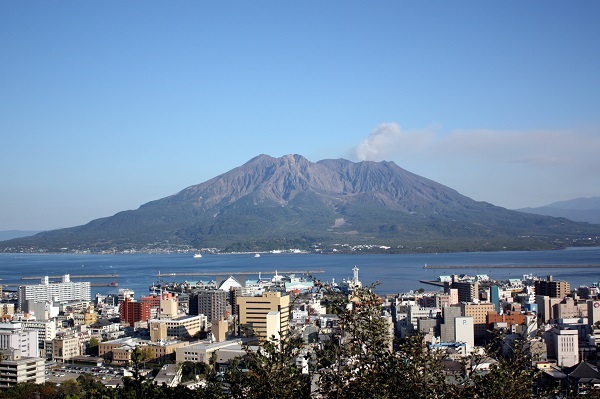 The All Kyushu SUNQ Pass is a free-pass ticket that allows users to ride nearly every local bus and expressway bus line along with select boats on the island of Kyushu, as well as the Shimonoseki City area of Yamaguchi Prefecture. 2. Enjoy extraordinary convenience not only between cities in Kyushu, but also for access to various sightseeing locations. 2. The normal Japanese domestic retail price is JPY 8,000. 3. 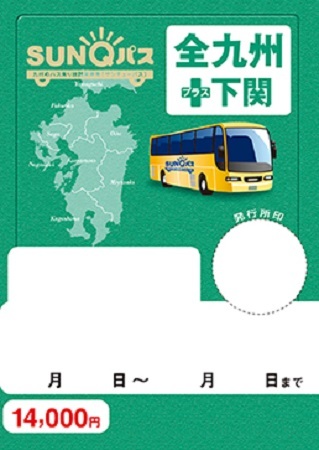 The Southern Kyushu SUNQ Pass is a free-pass ticket that allows users to ride practically every local bus and expressway bus line as well as select boats in Kumamoto, Miyazaki and Kagoshima Prefecture.